It's technically still winter but I can feel spring coming! Or maybe it's summer, the seasons here are so extreme. 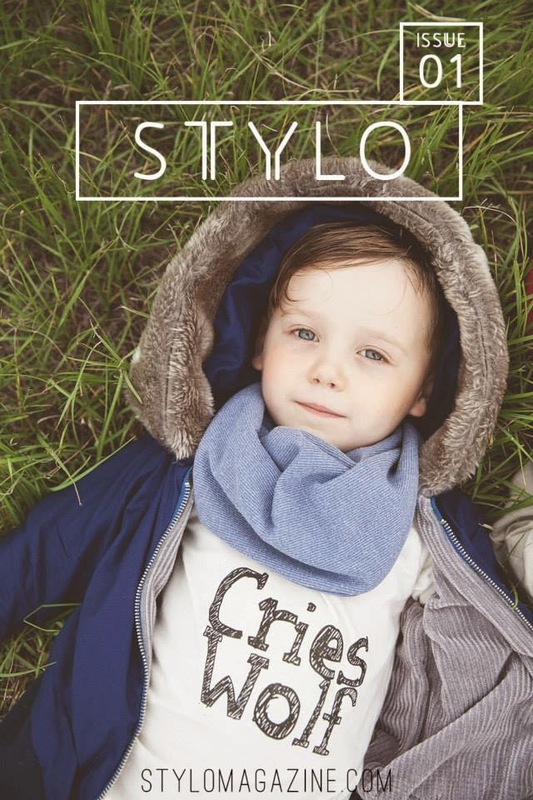 Either way it's super exciting to be sewing fun little things and having the kids being able to wear them for longer than it takes for the photos because it is weather appropriate! 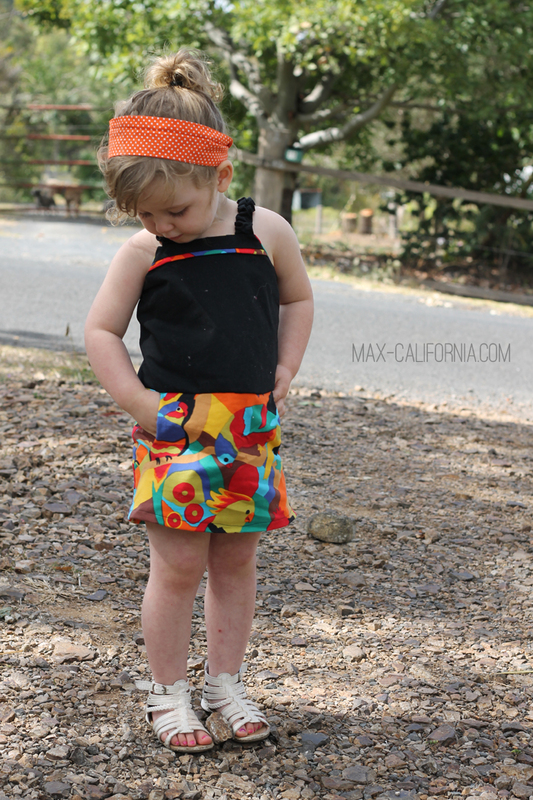 I get to kickstart the Not Just a Sunsuit pattern tour! 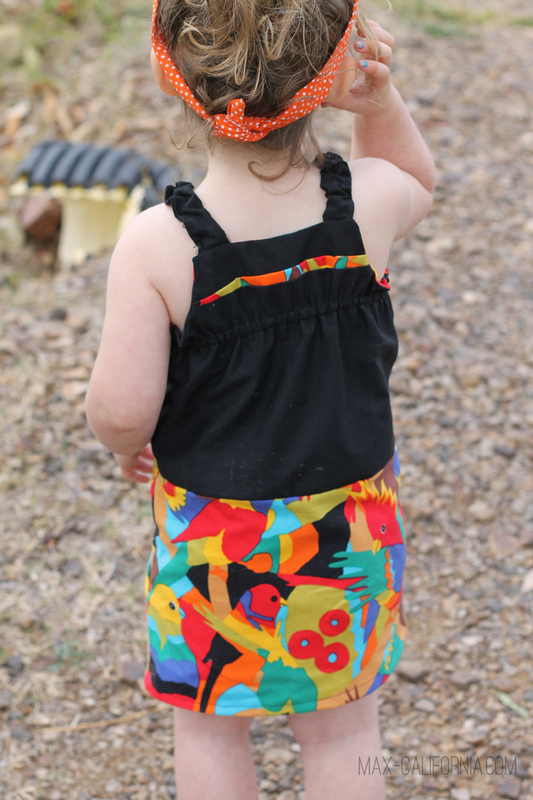 I sewed up the Paneled Sunsuit (a pattern by Designs by Call Ajaire) but opted for a dress instead of the little sunsuit. 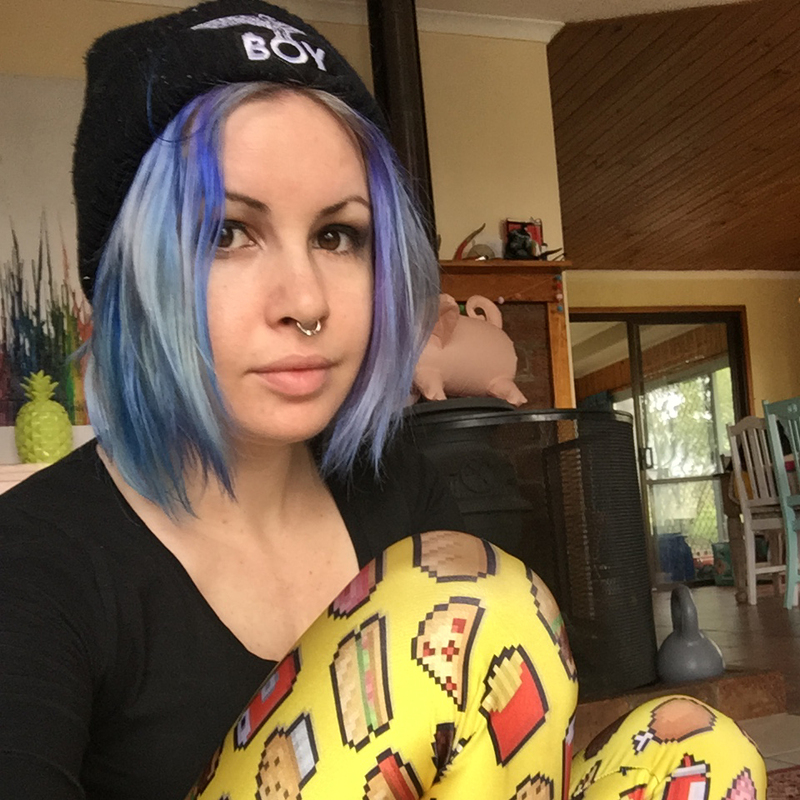 There's a crazy amount of options in this pattern (my favourite kind of pattern!) which means you get way more bang for your buck and with the hug size range it's definitely the kind of pattern you'll have around for some time! 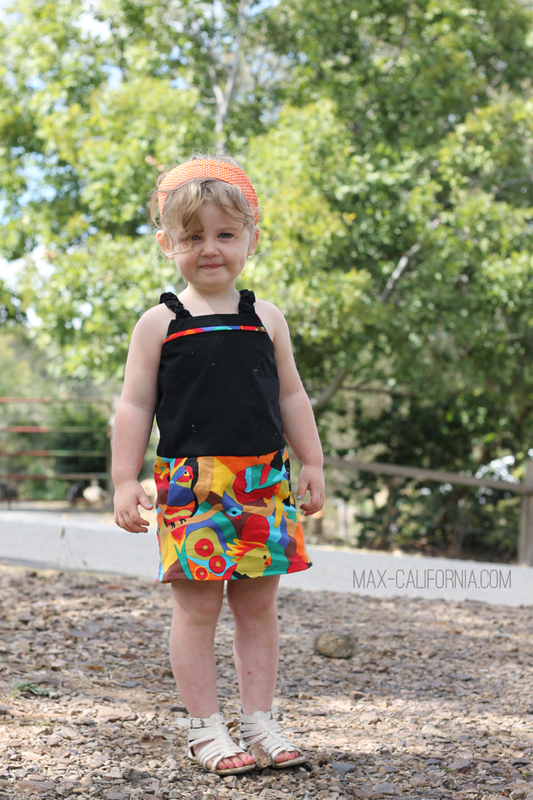 You could sew the standard sunsuit, or make it with long pants instead of shorts. 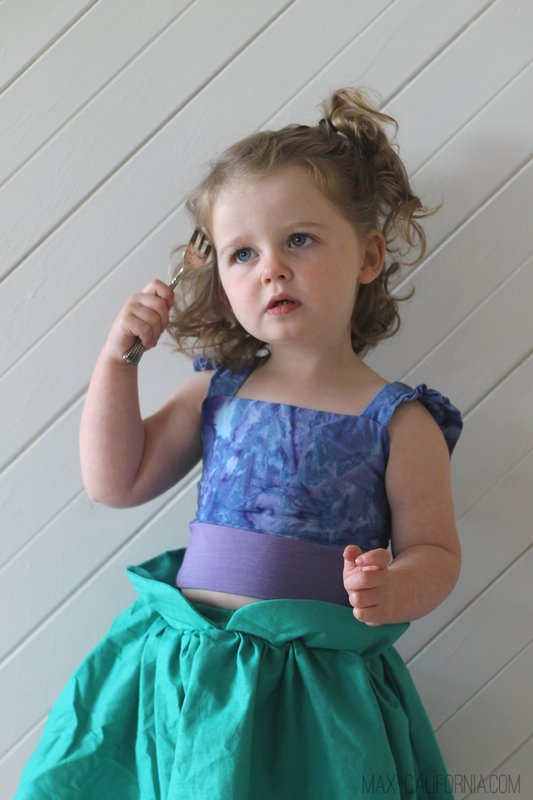 There's options for different skirt lengths, pockets or piping, as well as splitting it in two have having two piece sets or even just a top or bottoms! I used some more of the 'Parrotphenalia' fabric that used to be a bedspread; I used it first in a pair of pants for Vincent here. 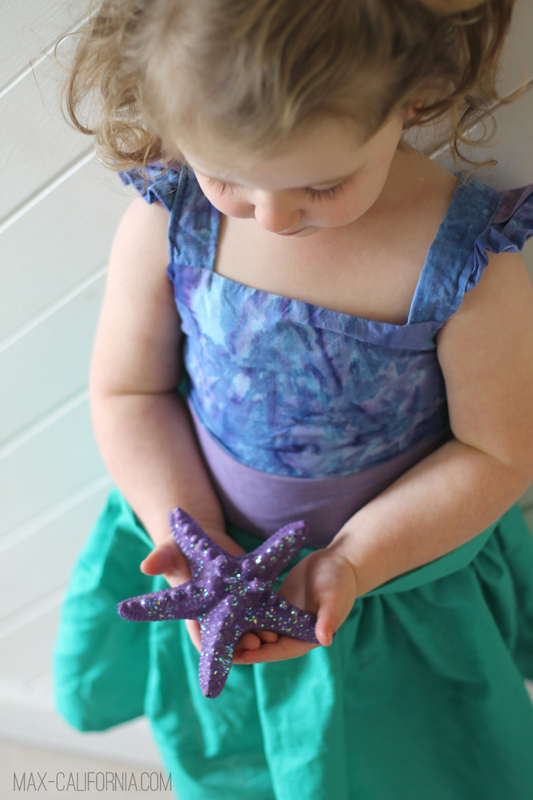 Edison absolutely loves this dress. 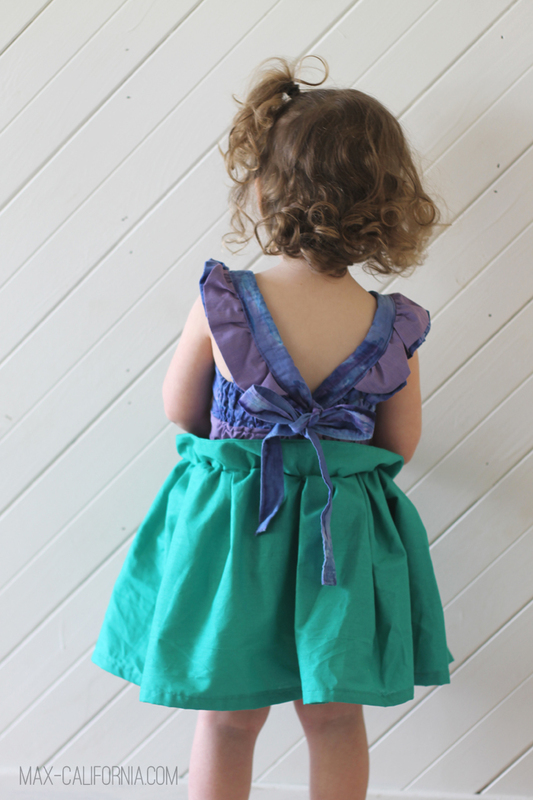 I sewed it up in a size 2, and I've sewn a matching one up for her cousin Ruby (as well as a tiny newborn one for my incoming niece!) so it will be super cute having them all matchy-matchy for the first time in their entire lives. I'm not sure if I cut the skirt too long originally; I cut them out one day and then weeks and weeks later I sewed the up which isn't normally the way I usually sew and probably won't do that again because it was confusing lol. It was quite long on short/round Eddie even after I chopped an inch off the hem, so I think in the end I too about 2-3 inches off and hemmed it. I could have followed the instructions for lengthening/shortening in the bodice, which would have meant the pockets were at a better height for Eddie, but I was super tired and didn't even think that through until after I hacked it up. 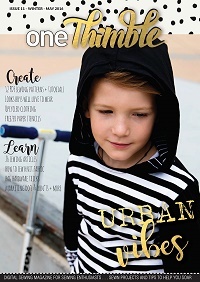 There are SO MANY bloggers joining in on this tour, so it's going to be fun seeing what everyone comes up with and all the different styles and versions sewn! 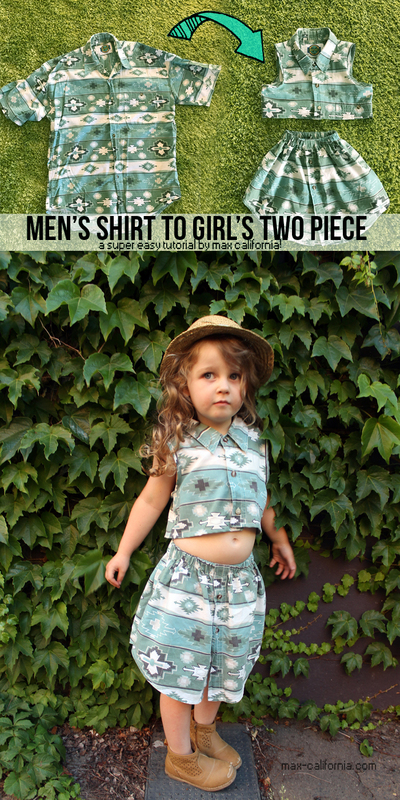 I think next I want to make a few little two-pieces. 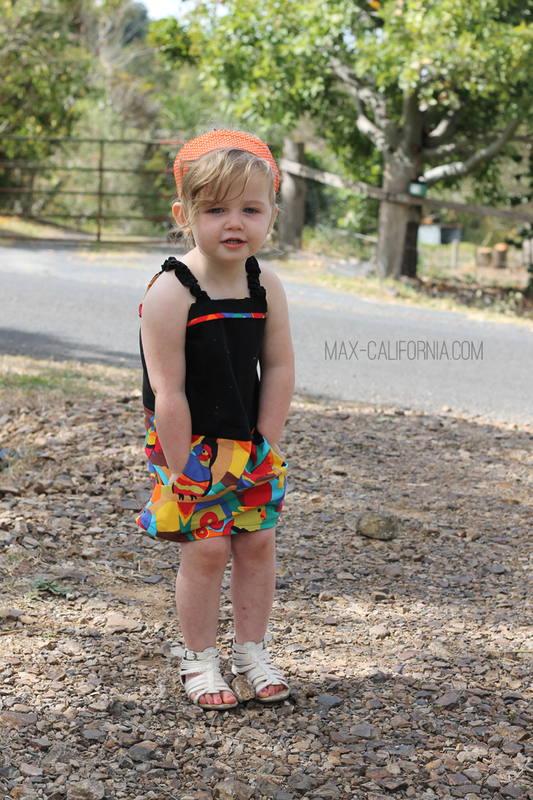 You can also win one of four sunsuit patterns by entering Ajaire's giveaway! Hope you win! "It's a dinglehopper. Humans use these little babies to straighten their hair out. See? Just a little twirl here and a yank there and voila. You've got an aesthetically pleasing configuration of hair that humans go nuts over." 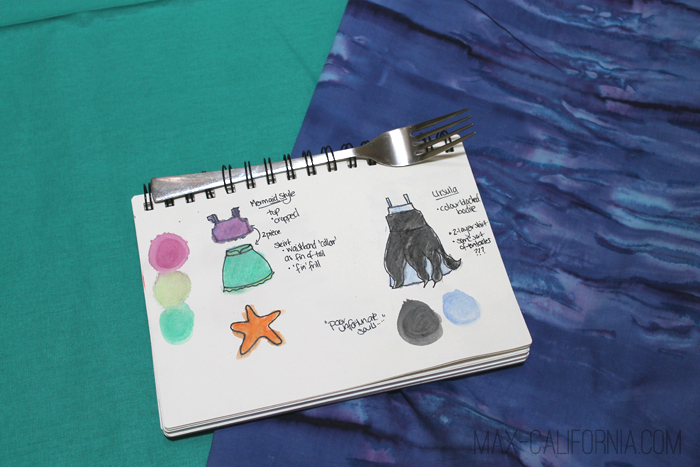 Last week, Pattern Revolution had a Disney Princess sew-a-long, featuring a handful of similar-in-style patterns from a few great designers. I knew right away who I wanted to sew up, my favourite disney princess ever, Ariel the Little Mermaid. All my life I've had such a fascination with her in particular. I never really liked many of the other disney movies (they're a bit creepy!) but Ariel had my heart and now I'm older I can see a lot of my inspiration in things stems from her. 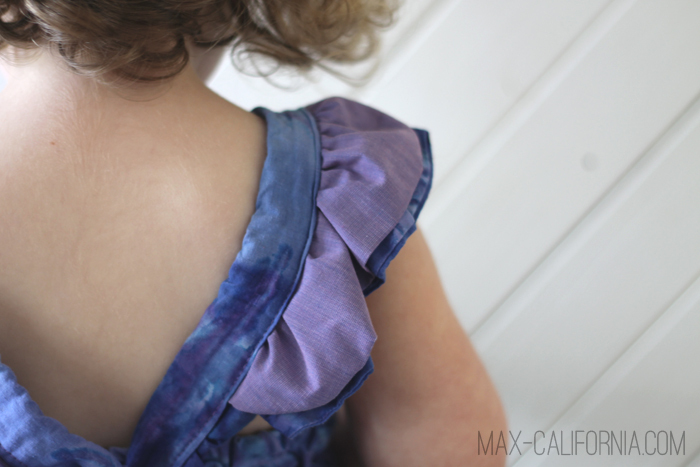 I found this beautiful batik-dyed purple fabric at Lincraft that just totally reminded me of water and watercolours and it was one of those moments where I knew I had found what I was looking for. 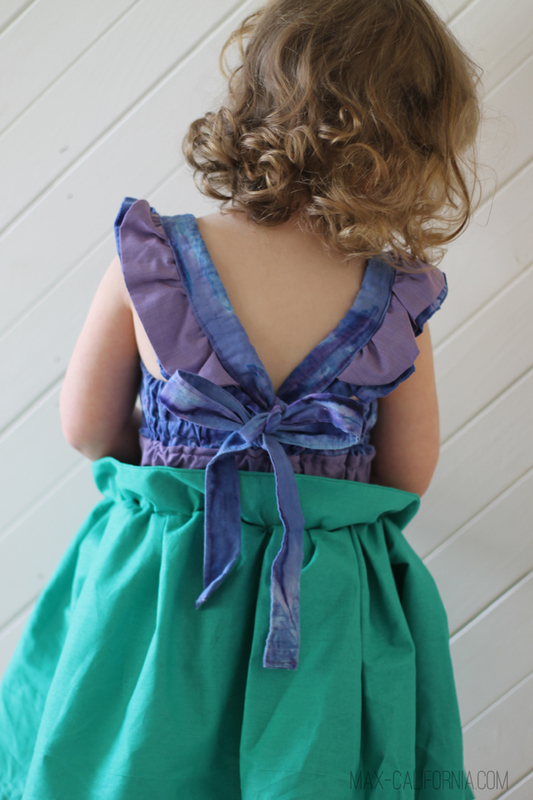 Read all the details on how I remixed & constructed the top, here on Pattern Revolution. The skirt I thought I knew what I was doing, and then I didn't, and then I wasn't sure I liked it, but now I know I love it! 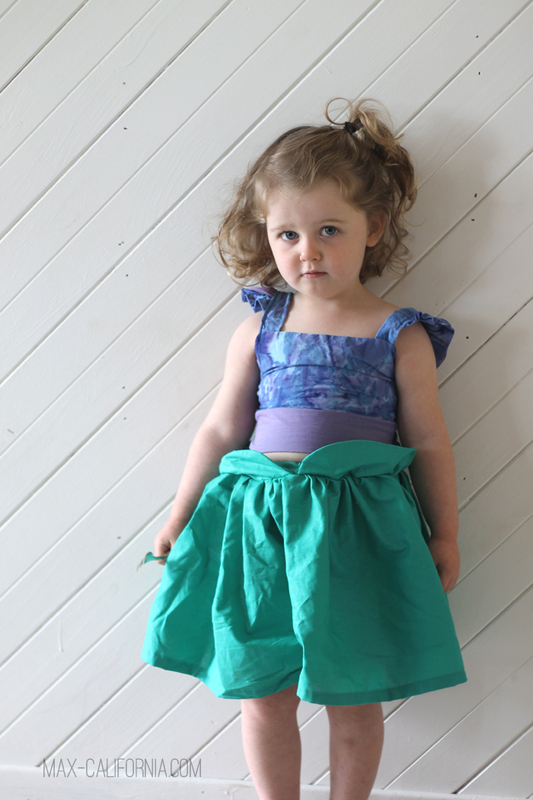 The skirt is the same as the one from the pattern, I just added a waistband with elastic threaded too. I also sandwiched a "fin" between the waistband and the skirt, and it had to be a little larger to be able to be pulled on still over her hips but I really like it! It's not ordinary, which is my jam! 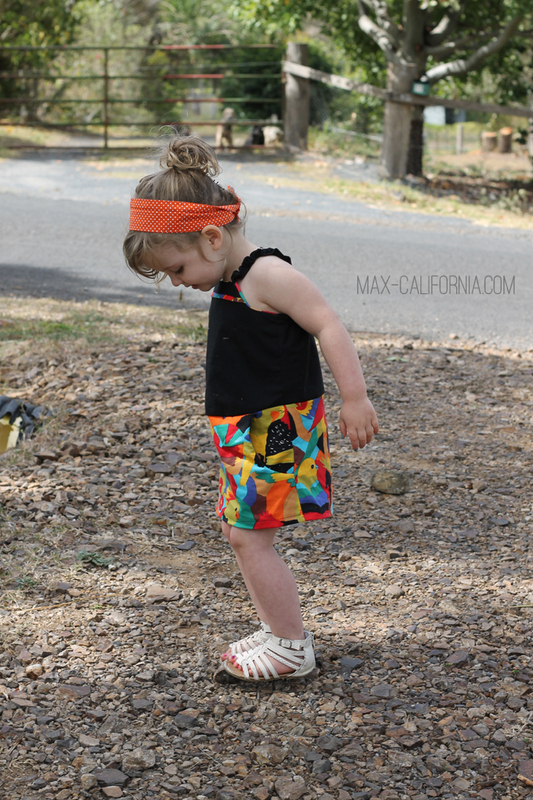 Man, toddler tummies though! So cute! Bonus? 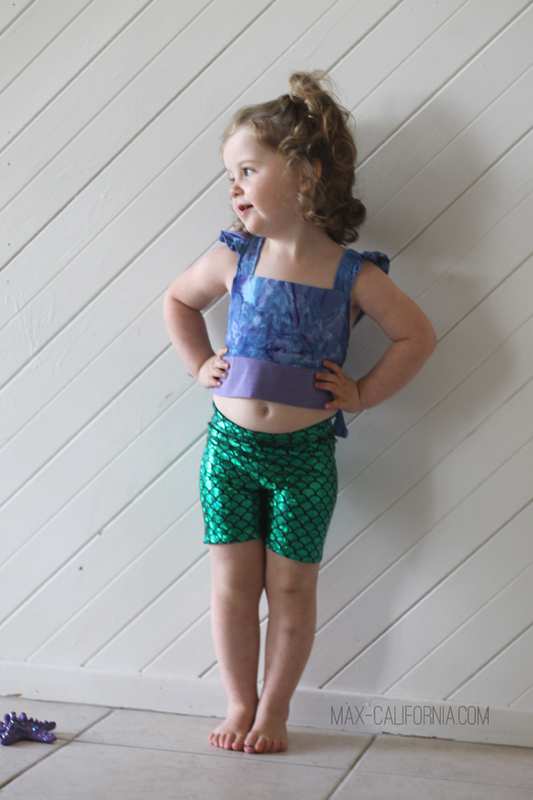 I made her some mermaid shorts use the knit shorts part of the Clara Set pattern (also from VFT!)! Now please tell me I'm not alone in thinking that I can actually sing in unison with her during her seashell-voice-stealing solo? Poor Tim.